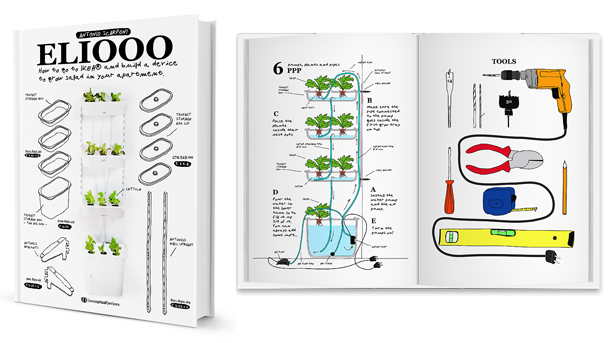 ELIOOO is not a product, it’s architect and designer Antonio Scarponi’s cleverly conceived and designed instruction manual that teaches any urban gardener how to build, operate, and maintain a choice of six variously sized and configured indoor hydroponic farms–from a small windowsill herb planter to a large mobile vertical garden. The Zurich-based designer’s interest in new ways of utilizing what we already have, rather than producing new things, led him to design with readily-available IKEA products,available almost anywhere in the world as well as online, offering easy access and the ability to calculate the cost. After a successful Indigogo crowdfunding campaign last fall, Scarponi spent several months completing the design manual which is now available for purchase as a book or an eBook. 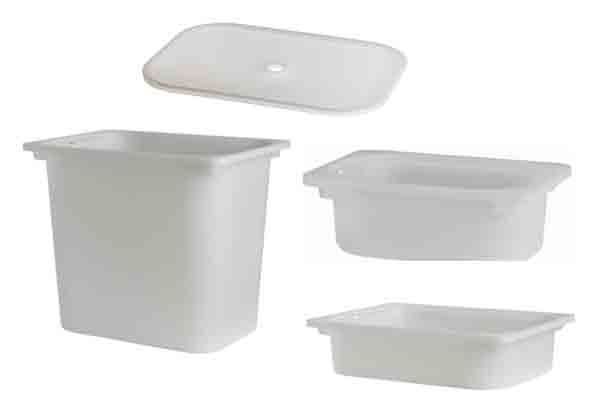 Three sizes of IKEA Trofast containers and lids are available in white and four other colors. 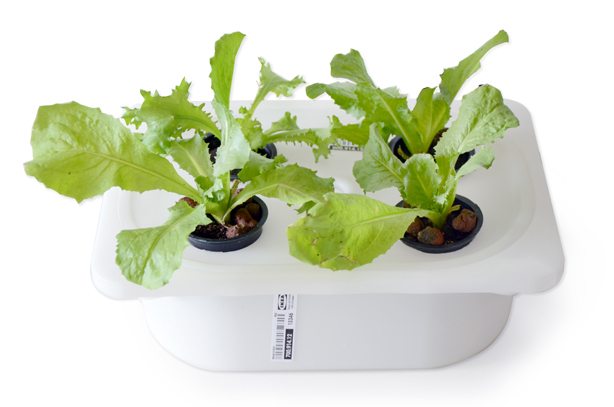 Scarponi chose hydroponics for its ecological, practical, and design benefits. 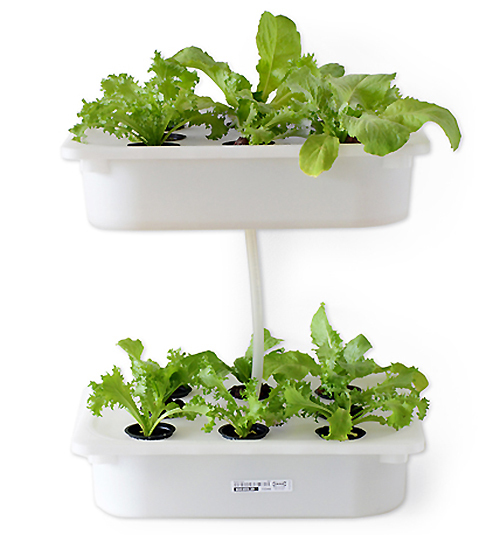 Hydroponics (growing plants in water instead of soil) uses 90% less water than traditional soil systems, requires little space, and makes growing easy by giving users full control of the required plant nutrients at each growing stage. Busy on-the-go urbanites can appreciate too not having to worry about watering the plants. 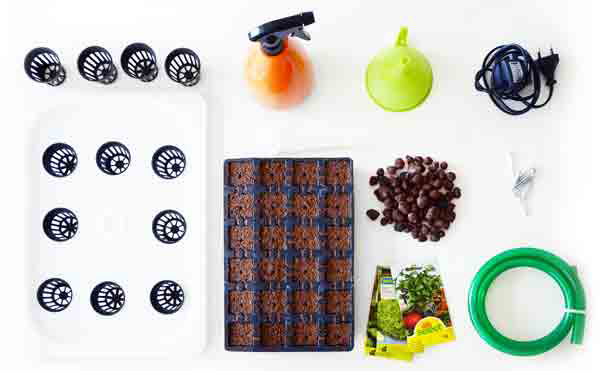 Scarponi, however, makes it clear that ELIOOO is not intended as a how-to guide to hydroponics or urban farming, rather a DIY design manual for building simple hydroponic growing systems using IKEA components. 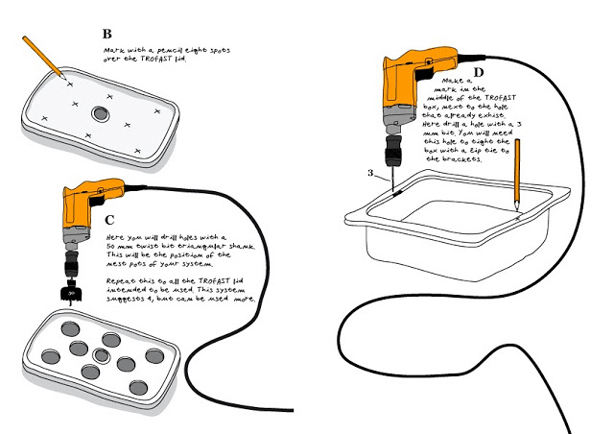 With informal hand-drawn step-by-step illustrations and handwritten text, ELIOOO demonstrates how to combine and adapt a a number of different hydroponics techniques for easy home use. 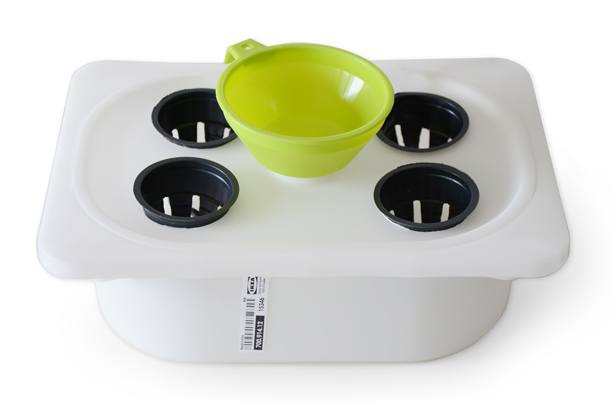 For growing small aromatic herbs, the non-circulating ELOOO #4 module can host up to four pots on a windowsill, kitchen counter, or tabletop. 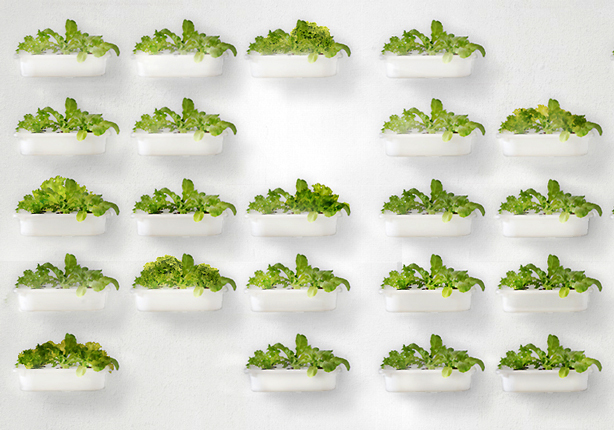 The larger non-circulating #8 module holds up to eight pots and, using IKEA Antonius wall uprights and brackets, can be configured as as a green wall for easy vertical farming in any room. 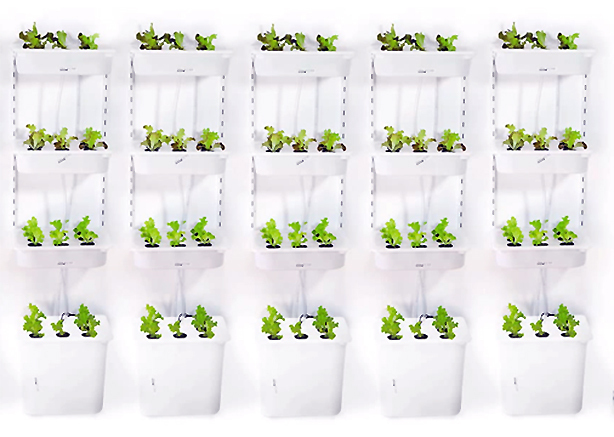 To accomodate larger leafy greens, tomatoes, eggplants, or cucumbers, the circulating hydroponic ELOOO #30 can host up to 30 plants, ideal for larger-scale indoor vertical farming. 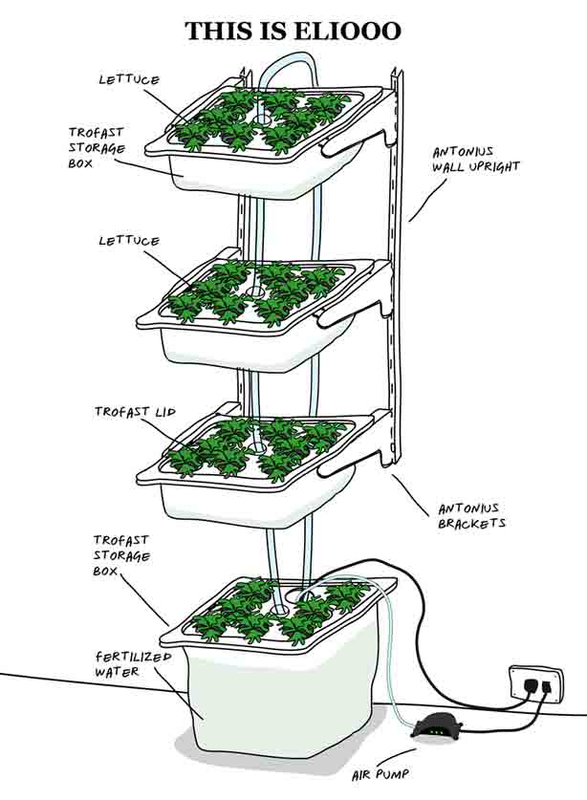 This particular system consists of three connecting grow trays attached to two wall uprights over a 25 liter reservoir whose lid holds a grow tray with another seven pots. Although the circulating designs require electricity to power the pumps, they can instead be operated by photovoltaic panels available at most hardware stores. As I love multi-functional design, I’m intrigued with the ELOOO #30 system’s design possibilities. 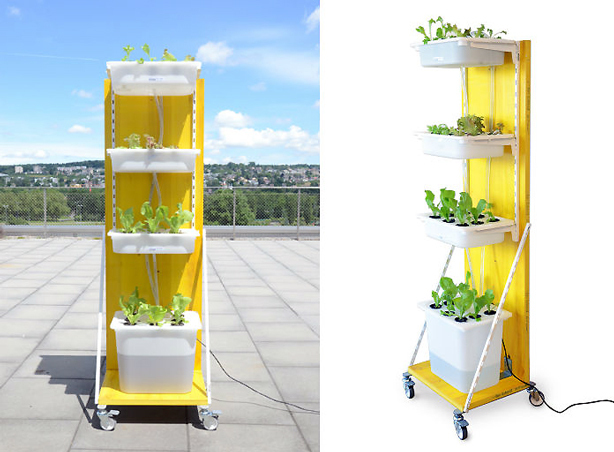 It’s possible to integrate the components with kitchen or other furniture, or combine modular units to form several vertical farming columns. Don’t want to use up a wall? Grab some heavy duty castors and two boards to create a mobile indoor urban farm ready to roll out of the way or outdoors. 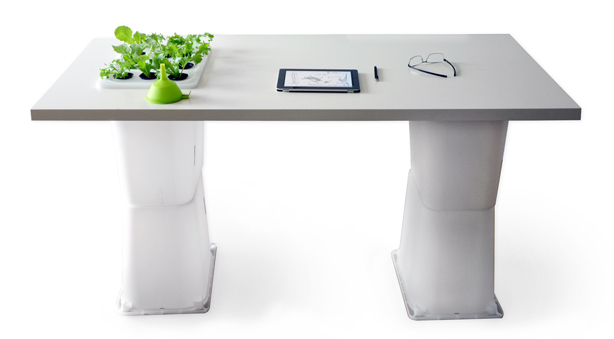 For the office, grow food on a desk farm. Over fout stacked large reservoirs, place a tabletop, then cut out an opening into which you insert an ELIOOO #8. You even end up with some leftover area for stashing little garden tools. ELIOOO is not Scarponi’s first go at designing with IKEA products–he’s a veteran IKEA hacker. For a 2008 design competition, he unveiled Rikea, a foldable trolley and temporary shelter concept for flea market vendors. 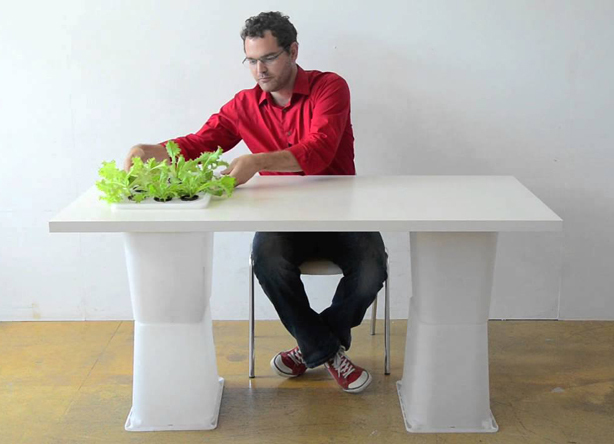 In 2011, Scarponi developed UrbanFarmers, a startup concept for rooftop aquaponics farms. This endeavor was soon followed by Zoroaster, the forerunner to what is now ELIOOO #30, and the design that sparked his idea for creating this how-to guide for creating multiple hydroponic systems using the same elements. “As a designer,” explains Scarponi,”I give ideas form and transform them into concrete things.” Describing himself as “apolitical,” the designer acknowledges that his ideas can’t solve the world’s problems, but he hopes with concepts like ELIOOO, that he can create a narrative about them that will engage and inspire. 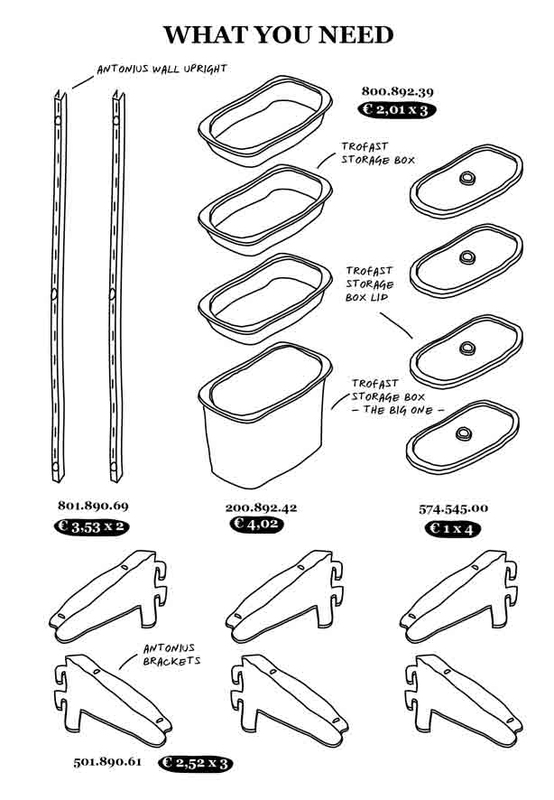 Interested in some other IKEA hacking projects? Here’s a vertical garden that doubles as a room divider; a compact kitchen with built-in garden; pendant lights made from repurposed garden pots and IKEA light element, and a window herb garden. For more cool ideas, visit IKEA Hackers, a site dedicated to the art of IKEA hacking. The ELIOOO manual is available from Amazon, and as an eBook from iTunes. Editor’s Note: This article first appeared here on Urban Gardens. Feel free to repost, but please mention the source and link back to this article.